Questions? Need information? Looking for an answer? Below are answers to Frequently Asked Questions about Vintage Leftovers’ Policies & Terms. If you still can’t find an answer, contact us here. We usually respond within 24 business hours. ■ HOW DO I PLACE AN ORDER? ■ WHAT ARE SHIPPING RATES & SERVICES? ■ WHAT ARE TERMS & CONDITIONS? ■ DO YOU OFFER DISCOUNTS? ■ WHAT IS THE RETURNS POLICY? ■ HOW DO YOU GRADE VINTAGE MERCHANDISE? ■ WHAT SAFEGUARDS PRIVATE INFORMATION? ■ WHAT IS COPYRIGHT AND TRADEMARK DISCLOSURE AND COMPLIANCE? ■ THE ANSWER ISN’T HERE. HOW CAN I CONTACT YOU? ORDERS ACCEPTED BY PHONE, ONLINE, AND MAIL ORDER. ORDERING ONLINE is secure, fast, and easy using our shopping cart! You can use our payment processor, PayPal, to pay with MasterCard, Visa, American Express, or Discover without having a PayPal account. If you have a PayPal account, you can pay with credit cards and more. PayPal receives payments directly; we never see your credit card or banking information. • If you want to use PayPal, but don’t know how, click here to follow this easy guide. • As soon as a payment has processed, you receive a notification email. Orders ship to the confirmed address sent to us by PayPal. • New York State sales tax will be applied to orders that ship within New York State. MAIL ORDERS are accepted by filling out the form found here (print and fill out the form or write out all of the requested information on a sheet of paper). We accept US Postal Money Orders from a U.S. Post Office only or Personal Checks using funds drawn from a U.S. bank, (payable to Gloria Nash, Vintage Leftovers). •After we receive your order, you will receive an Order Confirmation email. • At this time, we are unable to accept PayPal or credit cards through the mail. We ship orders only in the 48 U.S. contiguous states, and only to a street address; we cannot ship to P.O. Boxes. Please read Terms and Conditions below. Orders ship via USPS with First Class, Priority, Media, or Parcel. Service used is based on size and weight of the item(s). Experience shows these services are fast and reliable. • USPS DELIVERY CONFIRMATION NUMBER is included with every order shipped. Email notification has a delivery confirmation number. • All orders are securely packed for safe travel to you! —-Online orders ship within one business day of receiving payment from PayPal. —-Orders with USPS Money Orders ship the following business day. —-Orders with Personal Checks ship in 7-14 business days. •INSURANCE fees are included in some items, and listings will note the fee. • USPS SIGNATURE CONFIRMATION fees are charged on some items and listings will note the fee. Please note this service requires a signature at the time of delivery. • If you prefer another delivery method (e.g., USPS Expedited, UPS, FedEx), please call or email first, prior to using shopping cart. Note additional charges will apply. • Orders can only ship to the 48 U.S. contiguous states. • Orders can only be sent to a street address (no shipping to P.O. Boxes). • Free shipping and promotional shopping discounts are valid only on orders where a single payment is made at one time. • Free shipping and promotional discounts valid only if shipped to single address. • We reserve the right to disqualify any item(s) from any promotional shipping or shopping offer. • Prices subject to change with no notice. Price discrepancies due to technical issues not honored. • Any shipment refused delivery is charged a return shipping fee that is deducted from the refund. • Orders cannot be accepted for shipping to P.O. Boxes, Alaska, Hawaii, Puerto Rico, Guam, U.S. Virgin Islands, or Military APO/AFO/FPO addresses. • All offers void where prohibited. ■ WHAT IS THE RETURN POLICY? • Returns are not accepted for some items as stated explicitly in those listings. Sold “as-is” and not refundable are books, media, CD’s, bedding, clothing, and shoes. • Return item(s) via USPS, UPS, or FedEx. purchase delivery confirmation and insurance to ensure items lost or damaged are reimbursed. Buyer assumes risk for uninsured item(s). Seller is not responsible for lost items. Postmark all returns within 30 days of order date. • Refunds are issued for full price but shipping and insurance are not reimbursed unless return is due to seller error. • No restocking fees are charged unless item is returned in a condition other than it was sent. Item sent in unopened package but returned opened has a 30% fee deducted from the refund. • Any shipment refused delivery is charged return shipping fees that are deducted from refund. • If a returned item(s) from an order that qualified for free shipping, flat rate shipping, or a promotional shopping discount causes the original order to drop below the amount needed for the promotional free shipping, the standard shipping fee is deducted from the refund. Vintage Leftovers guarantees all items as authentic and vintage. We stand behind our products with a 100% money-back guarantee. We encourage you to contact us for detailed information or additional photographs/scans of interested items. Reproductions are clearly described as such. If items were stored in a climate-controlled environment over three decades we defined them as vintage quality, not new although they could be defined as new if they had not been handled since manufacture. It is natural for vintage items to show wear or imperfections from aging, however, the quality varies with the materials used (e.g., paper, metal, plastic, etc.). We leave our collectibles in “found condition” and sell “as is.” We do not clean or alter items unless noted. Vintage jewelry and watches may need to be cleaned or serviced and repaired. Vintage Leftovers is not responsible for outcome of any service repair before or after a sale. Grading is a subjective art; therefore, prior to making a purchase, contact us with concerns. We describe items using accurate words, scans, and/or photographs, which include close-ups of defects. Each item has a unique listing and title. When grade and/or condition vary we list and label multiple quantities of items separately. We provide clear scans and/or photographs and unbiased, detailed descriptions that include physical dimensions and other pertinent information. • Unless otherwise stated, no toys or items sold by Vintage Leftovers are suitable for children 3 years of age or younger. • Listings for vintage clothing items include measurements. Size issues may occur with items manufactured long ago. • Vintage Leftovers is not responsible for items purchased for scrap metal value. We weigh items in ounces not grams, and include the weight of screws, etc. Keep in mind smelting processes cause significant weight loss after melting. • We make errors! We appreciate hearing from you if you notice errors, typos or misidentified items, images, or descriptions. And let us know if you can provide more accurate or detailed information about item or brand shown on this site. Your privacy is important! We respect personal information and never share it. We only collect the information needed to complete the order or to contact you regarding the order, such as confirming the order or notifying you it has shipped. Customers may opt-in to subscribe to our mailing list to receive infrequent emails about new item listings, new blog articles, discounts, coupons, or other offers. When subscribing to our email list, ensure you will receive our communications by adding our e-mail address to your e-mail safe list or address book. Customers who request to no longer receive such emails may easily opt-out of receiving all future mailings from us by clicking on the link given in the email sent. Subscribers may also choose to opt-out of receiving any email from us by clicking here to contact us using our website form, email, postal mail, or by telephone. Most browsers automatically accept cookies; however, you can make changes in your browser to prevent this or to notify you whenever you are sent a cookie. This gives you the option to choose whether or not to accept cookies. Vintage Leftovers enjoys hearing from customers. By sharing your comments about purchases made from us you consent to allow us to display it, in whole or in part, on the Vintage Leftovers website. We identify the source of any comment by initials and location, and never by full name. The purpose of all written content on the Vintage Leftovers website is solely informational. We have no affiliation with the companies, corporations, manufacturers, or brands represented by the products, images, and information on our website. We do not endorse either for or against any trademarks, trade names, service marks, logos, or registered brands displayed on our website as they are the sole property of their respective owners. 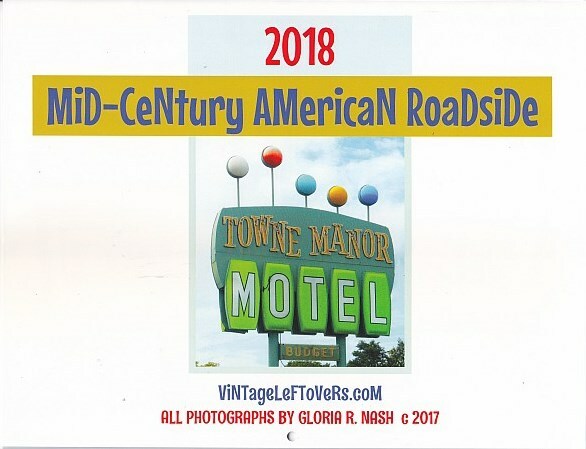 • All content on the Vintage Leftovers’ website, the Vintage Leftovers logos, “Burger Bite,” and “Hungry Dog” are the property of Gloria R Nash, with all rights reserved unless otherwise noted. • Strict written permission must be obtained to use any of the content on this site. ■ ANSWER ISN’T HERE; HOW CAN I CONTACT YOU? Questions? Problem? No problem—Just contact us here! Emails answered within 24 business hours! Contact us by filling in our website form.